That's right, it's the hottest event of the summer; The Peach Music Festival at the Pavilion at Montage Mountain on Friday 11th August 2017!! Get your tickets TODAY for the best festival you've ever been to!! The festival, started by Live Nation Entertainment and The Allman Brothers Band has been going strong since 2012. 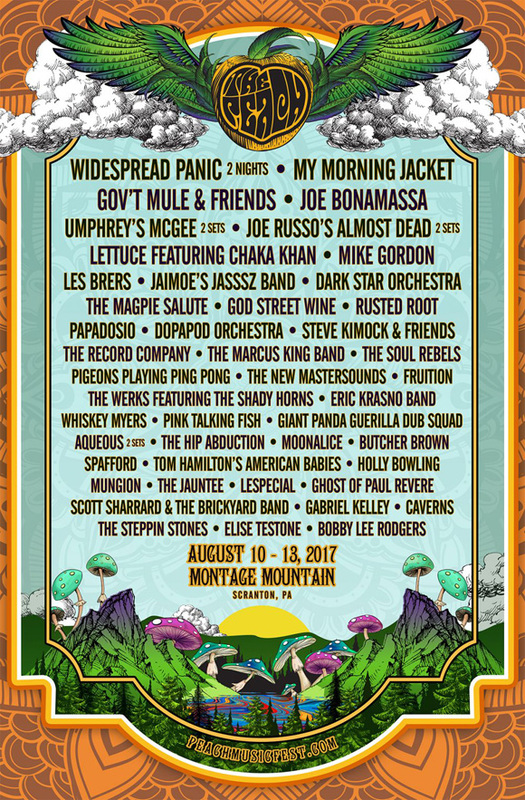 Focusing on jam, experimental and psychedelic music at its core, this year features an incredible lineup including headliners Widespread Panic (playing 2 nights!! ), My Morning Jacket, Gov’t Mule & Friends and Joe Bonamassa!!! Here's the full festival lineup – it's going to be an incredible experience! !